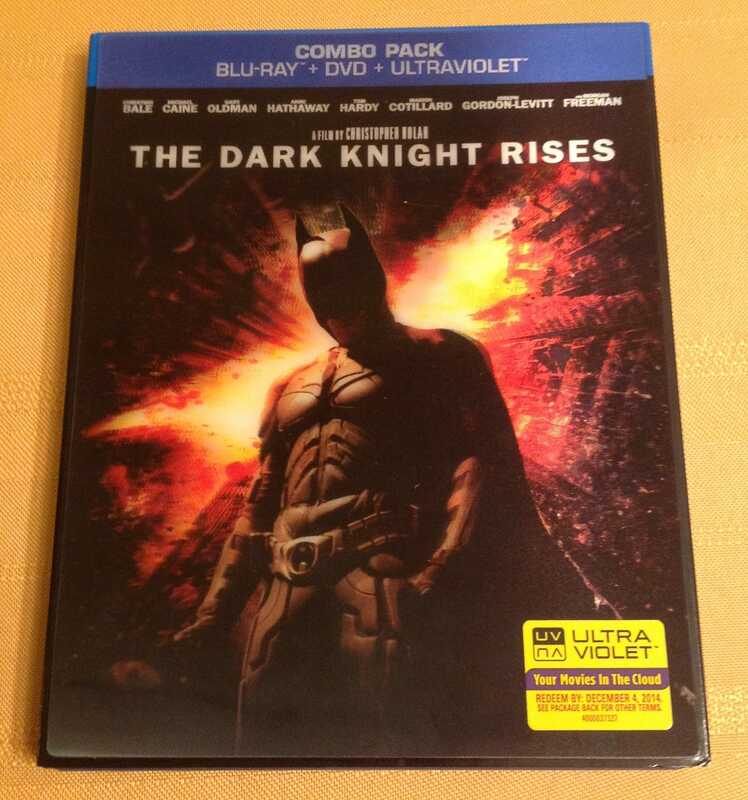 If you’ve purchased a DVD in the past few months, you’ve probably noticed a small sticker in the lower right hand corner of the film box telling you to try out Ultraviolet (UV). Inside, you’ll see a single sheet of purple and yellow paper with a confirmation code pointing you toward an UltraViolet site. UltraViolet service allows you to take your film collection with you on the go. It’s an authentication system that verifies film purchases and enables you to watch your movies across any mobile device from any location. We spoke with the mind behind UltraViolet, Digital Entertainment Content Ecosystem (DECE) president and chief digital strategy officer at Sony Pictures, Mitch Singer, to find out more about the creation of UV and why this is the next frontier for movie viewing. “The motion picture industry has basically decided, given the technological advances, that it doesn’t make any sense in a digital world to force consumers to buy the same movie over and over again,” Singer tells Business Insider. 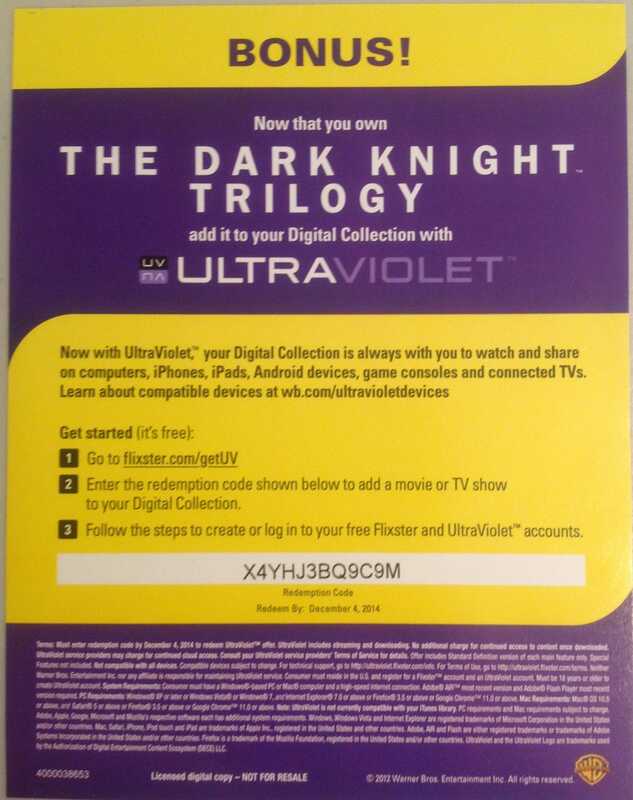 Here’s what an UltraViolet redemption code sheet looks like, found inside a specially-marked film box. The service isn’t new at all; Ultraviolet’s been around since late 2011. However, it’s been picking up steam in the past few months. As of Super Bowl weekend, the service has reached 10 million registered users. UV began rolling out in late 2011 with both Warner Bros. and Flixster, and Sony joined soon afterward. In October 2011, “Horrible Bosses” and “Hangover 2” were the first two films available to view across mobile devices through UltraViolet. Currently 8,700 titles are available to date, to view through the authentication service with the majority of those titles — about 3,500 — from Warner Bros.
After a year and a half, UltraViolet has launched in the U.S., Canada, and the U.K, and will soon be launching in New Zealand, Australia, and Ireland. By the end of 2013, Singer says UV plans to launch in Germany and France. While movie purchases are registered with the UltraViolet platform, you need an UltraViolet service to view the films. Users can’t watch their films directly on UltraViolet. UV itself just acts as a program to confirm you have rights to watch a particular film. Instead, you need to download an UltraViolet service to view your purchases. On a mobile device, such as a tablet or phone, this is as simple as downloading an app. Best Buy’s CinemaNow, Wal-Mart’s Vudu, Flixster, M-GO, Sony Pictures, Barnes & Noble’s Nook, Paramount Movies, and Universal. A ninth, Cineplex, is available in Canada. This isn’t as overwhelming as it sounds. Users simply pick which distributor they want to use from those available and run that on their tablet, computer, or mobile device. Why so many ways to watch? One reason is that every studio wants you to view all of your films on its individual player. Another reason is that you can’t access all of the players on every type of device. Vudu is available on Xbox while Flixster will be there soon, but you’ll use Barnes & Noble’s program on its Nook e-reader. Singer says it’s also to deliver choice. In the past, this was a deterrent for UV. The process of signing up for multiple services was confusing and exhausting to some, but after we took a run at it, it’s not that difficult to use at all. And the payoff, once you have a good majority of your film collection available as easily as your music on an mP3 player, is well worth it. 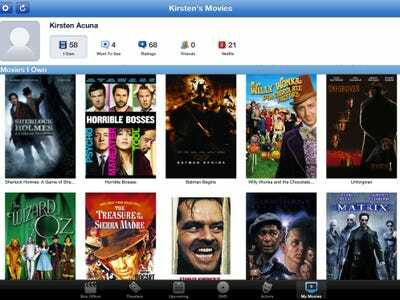 According to Singer, most people with UltraViolet accounts use Vudu or Flixster, the first services to launch through UV. For the most part, there’s no incentive to using any one service over the other, though Singer says there’s potentially one future advantage of having a CinemaNow account. Singer says no distributor has launched such a model yet, but he expects we’ll see one roll out this year. Using the UV code provided with a DVD. Directly buying films online through one of UV’s distributors. You can also convert a DVD / Blu-ray title for $2 by bringing it to Wal-Mart. If you want an HD conversion, that will cost $4. In the end, this may prove more frustrating since the film or show needs to be one of UV’s nearly 9,000 registered titles in order to work at the moment. And, if it’s not a Warner Bros. title, you may be out of luck. Soon, this process will become a bit easier as consumers will be able to convert their own DVDs from the comfort of their homes. Much like converting VHS tapes to DVDs with converters and storing songs on mp3 players, CinemaNow, Vudu, and Flixster are testing out a service where users will be able to convert disc to digital without heading to stores. Right now, Singer says most people are being introduced to UV through Blu-Ray discs. Promotional campaigns are helping draw more users to UV as well. At the end of last December, Vudu offered 10 free UV movies when signing up for an account and linking it to UltraViolet. The other thing UltraViolet will do is help shape and change the way we watch and share films. When signing up for UltraViolet, a user can register up to five people on one account to share their movie collection. Users are then able to run up to three streaming sessions simultaneously through one UltraViolet account. In theory, one person could be viewing one film on their laptop, while another is viewing a separate film on a tablet, while a third watches on mobile all at the same time. Though UV will signal for a giant push of movie storage on the Cloud, Singer shares this will not be the end of DVDs altogether.